LaborCrypto is a platform that matches users with other users to procure, hire and promote freelance work. It is a framework that streamlines gig economy match-making. 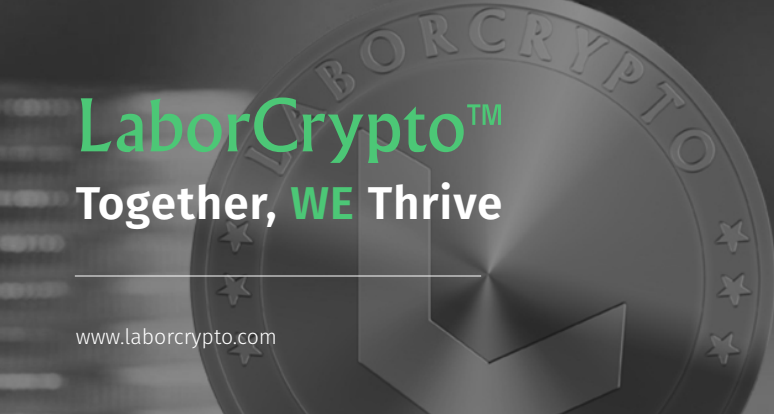 LaborCrypto is utilizing the capability of blockchain smart contracts to decentralize corporate power structures and give more monetary power to the freelance workers and those who hire them. LaborCrypto is all about changing the status quo and giving power to freelance workers, by linking people everywhere from all over the world irrespective of having a banking system or not, and enabling the freelancers to keep all of their earning and getting it immediately. Building an ecosystem rooted in it’s core values: inclusion, opportunity and empowerment is what LaborCrypto centers around. These values lead to the creation of an ecosystem that provides some value beyond the numbers. Most of the platforms currently in existence that cater to the gig economy, their efforts are being spent on solving a few problems. For example, how to pay the user on time or reduce service fees. These are reasonable worries within the freelance market, but the most important issue which is user loyalty is still very much unattended to. As long as freelancers gain from doing business directly with the customer, to do so they will always undercut the platform. It is important to compensate users for their time, dedication and loyalty which LaborCrypto strongly believes in. LaborCrypto intends to execute this by sharing half of the platform’s actual revenue with both the users and freelancers that contribute to the development and growth of the ecosystem, based on their individual contributions. Let us say a customer spends $100 and the worker generates $1,000, the worker will receive ten times the reward the customer does. Another thing that differentiates LaborCrypto from its competitors is experience, accumulated from work on an existing platform called ChoreRelief. This marketplace enables users to outsource household services and connect with workers in vicinity. It not only focused on giving users access to cheap work but also allowed the workers to have an opportunity scale. At ChoreRelief, workers were given an app to connect with customers and a dashboard to manage their business in real time from a cell phone or PC. If there was a need to hire additional persons, the dashboard allows them to manage their workforce appropriately. LaborCrypto is an evolution of all of the knowledge and experience acquired by working on ChoreRelief. LaborCrypto will be using the expertise of its founders and applying blockchain technology to make a freelance hiring platform that is decentralized, has extremely low fees, takes into consideration the more than 3 billion people that do not have access to banking to make and store money, and will have a built-in arbitration process. In addition, LaborCrypto will share 50% of collected fees and advertising revenue with all active Utility Token holders that are contributing to the LaborCrypto marketplace. Inactive Utility Token holders will not earn money based on the work of others. This combines the upsides of an employee-owned company with the advantages of being self-employed! LaborCrypto as of now has a team with years of experience in a freelance worker platform. A live platform that allows a huge number of paying customers to hire registered service providers to perform household tasks has already been built. Even before beginning to model a blockchain-based platform, they have had success in the $1 Trillion-plus gig worker market with a more than 30% month-to-month user acquisition rate. That achievement comes from having built best practice low cost per acquisition processes for the marketplace, which LaborCrypto will adopt. The era of money being power is coming to an end, and is going to be replaced by technology, consciousness, and community as a means to power. LaborCrypto is putting itself in a position of ‘power’ by providing the stage for individual empowerment.